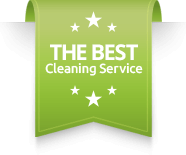 Having a reliable and efficient cleaning team, you will be able to rest easy knowing that your house will be cleaned to the highest standard. Domestic cleaning in Cambridge will clean your home with the most amount of care and respect; leaving your home in a pristine and immaculate condition. Our service is dedicated to ensuring your home is cleaned with the best equipment and attitude. Our professional domestic cleaners have an in-depth attention to detail and have a vast knowledge of cleaning equipment. This will leave you feeling comfortable and confident that a domestic cleaner in Cambridge will do your house proud! Highly experienced and trained cleaners will ensure that your home is cleaned with the largest amount of professionalism. Your home will be left looking as good as new, and with our polite staff you will never feel out of place or uncomfortable in your home. Every aspect of your home will be efficiently cleaned, removing cobwebs and excess dust. No room or possession is too big nor is it too small. All areas of your home will be treated with the largest amount of respect and will leave your home smelling fresh and clean with domestic cleaning in Cambridge. As a cleaning company, cleaners will be equipped with the most advanced professional equipment allowing for a more thorough and deep clean. The powerful equipment will help enhance the cleaning and offer a higher chance of complete satisfaction with the results. Due to their profession, our domestic cleaners in Cambridge have extensive knowledge about cleaning equipment. This means they understand which chemicals should be used in certain situations, for example, using bleach in the sinks and toilets. This knowledge will allow you to feel safe as you know the cleaners won’t damage your belongings.